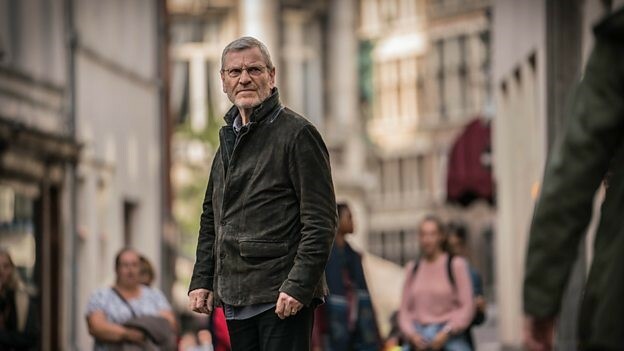 The highly anticipated new six-part BBC drama Baptiste will be airing next week! From the creators of The Missing, this spin-off stars Tchéky Karyo as the insightful, yet stubborn investigator Julien Baptiste. Now retired and trying his best to enjoy his retirement with his family, the investigator is contacted by Police Commissioner and former girlfriend Martha Horchner (Barbara Sarafian), who brings him a missing person’s case he can’t refuse. The series is directed by Börkur Sigþörsson (BlackBoxTV, Trapped) and Jan Mattys (The Last Kingdom, Shetland). It was written by Harry Williams (The Missing, Liar) and Jack Williams (The Missing, Liar). Starring are Tchéky Karyo (Section Zéro, The Missing), Anastasia Hille (Prey, The Missing), Tom Hollander (American Dad, The Night Manager), Camille Schotte (The Missing, Belgian Disaster), Trystan Gravelle (The Aliens, A Discovery of Witches). A boating scene on Deal seafront. A dangerous smuggle’s haunt in the 1800s, the town boasts a wonderful collection of colourful Georgian buildings, complemented by a long shingle beach with huts, fishing boats and pier restores in the 1950’s. It is a popular filming location and has previously featured in productions such as The Tunnel: Sabotage (2016) and Liar (2017). Further filming took place in neighbouring Kingsdown, again using the sea road and beachfronts. The village is situated south of Deal and features in the James Bond trail. Discovery Park in Sandwich was also used in the filming, doubling as an airport. Sandwich is a town north of Deal on the Stour Estuary and was once one of the Cinque Ports. It still has many original medieval buildings, including churches, almshouses and the White Mill. This location was the base for all three series of Kudos’ The Tunnel (2013), The Tunnel: Vengeance and The Tunnel: Sabotage (2016). The Ramsgate Harbour Approach tunnel also featured in part of the series. Ramsgate, located in the district of Thanet, is a thriving seaside town with beautiful Georgian terraced housing, Marina, Port and Promenade. Previous TV productions which filmed here include Eastenders (2015), The Tunnel: Vengeance (2017) and Hancock and Joan (2008). Baptiste is set to air on BBC One on Sunday 17th February at 9pm.